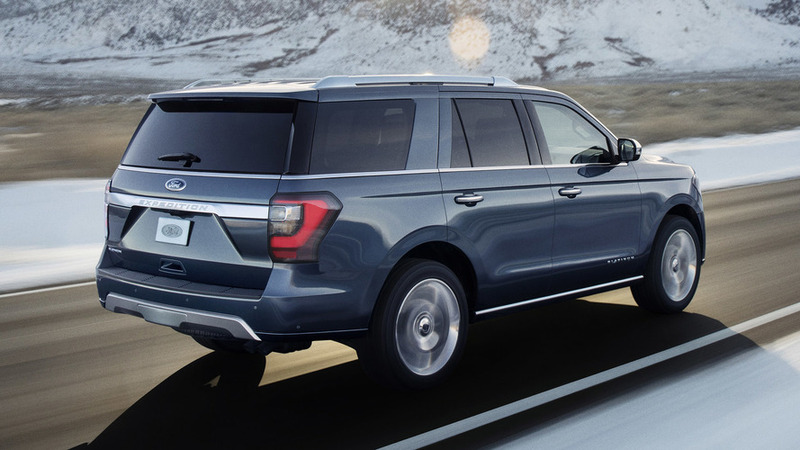 The all-new Expedition is larger and more spacious, but considerably lighter than before. The full-size, body-on-frame SUV might seem like a dinosaur in an era when car-based crossovers dominate the land. But Ford says that when families grow – in terms of number of family members, or size of toys they need to tow – they still end up gravitating toward the more traditional end of the SUV spectrum. After all, 15 percent of all Expedition owners tow every single month, Ford says. It’s for that reason that the 2018 Ford Expedition hews pretty close to its existing recipe. Yes, it’s all-new and switches to aluminum bodywork, like the F-150 truck, but the basic mission is the same as ever: A big box with seating for eight and the strength to tow your boat. That box is, at least, prettier to look at. 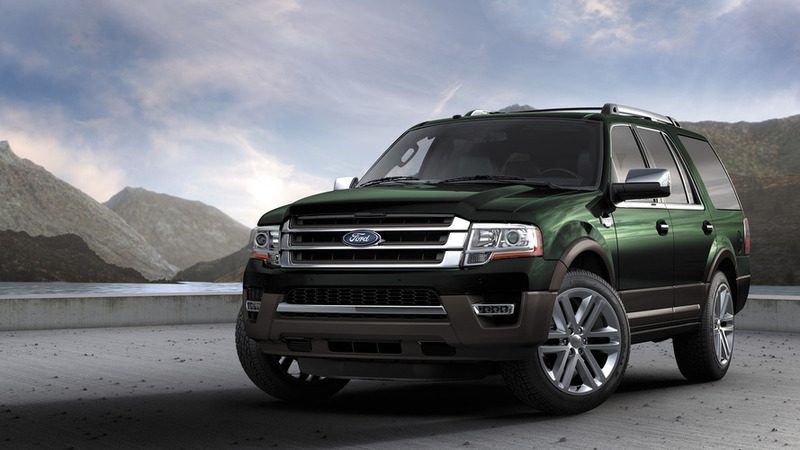 Ford designers have tightened and smoothed the Expedition’s bodywork. It’s got a lot in common visually with its key rival, the Chevy Tahoe. There’s lots of available chrome, sharp surfaces, and typical Expedition details like powered running boards. Wheel sizes now range from 17 to 22 inches, whereas the old model came with 20s as the largest option. Ford has also done a far better job hiding the muffler and exhaust tips, as well as the full-size spare tire, on this Expedition than its predecessor. The standard-length Expedition grows four inches in length on a wheelbase that grows by 3 inches; the long-wheelbase model, henceforth called Expedition Max instead of EL, gains an inch in length but has the same wheelbase as before. The EL currently accounts for about 40 percent of Expedition volume; Ford expects that to shrink with the new model as the standard-length SUV now has more cargo space. Despite that growth, curb weights fall by as much as 300 pounds. Credit the use of aluminum for all the bodywork and a redesigned frame that is lighter but, Ford claims, stiffer than before. Though we don’t have official numbers, that should put regular Expedition weights around 5,200-5,400 lb, with the Max likely tipping the scales around 5,300-5,700 lb. The only engine choice remains a 3.5-liter EcoBoost biturbo V6. Ford won’t share any output figures just yet, pending certification, but promises they’ll be greater than the 365 horsepower and 420 pound-feet of torque offered in the 2017 model. There will also be more gears, with the new Expedition adopting the 10-speed automatic that’s already available in the F-150 and Mustang instead of its old 6-speed. Engine stop-start is standard, and you can pick between rear- and four-wheel drive, the latter of which still has a low-range transfer case. Another number Ford won’t share just yet is towing capacity. But it’s expected to improve upon the current figures, which are 6,500-9,200 lb, depending on configuration. Ford’s steer-by-knob Pro Trailer Backup Assist feature is available to make hitching your trailer even easier. The inside is considerably smarter than before, and engineers specifically focused on providing more room for storing all the detritus of modern life. So there’s a small electronic rotary shifter on the center console to free up room for cubbies and cupholders. It’s already offered in several other Ford products, but here the manual-shifting - and + buttons are just big buttons on the console. There are various new trim options, including real wood, and overall it’s a much smarter design. In total, Ford says there is twice as much storage space inside. You’ll also find 17 beverage holders, and you can opt for seven-passenger seating with captain’s chairs instead of the standard bench/8-passenger arrangement. The second-row seats have been redesigned with a tip-and-slide motion that lets you move them out of the way without removing a car seat, easing ingress to the third row. They still fold down flat to the floor, as do the rear seats. With cargo room expected to increase, the Expedition needed improved cargo-management options for its trunk. 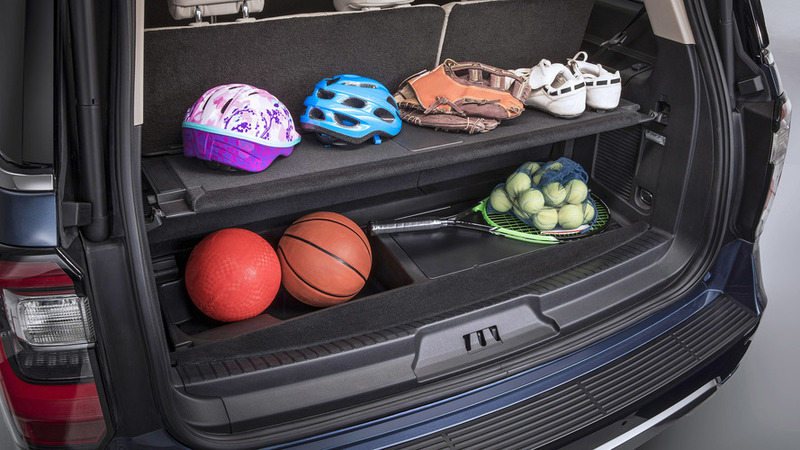 The first is what Ford calls the “Advanced Cargo Manager,” but I’d call it a “shelf.” The mechanism is very clever; the trunk floor flips and folds out, then sits halfway up in the cargo area to provide a shelf. The killer app is that it’s easy to reach in to store stuff atop this ledge when you pop open only the rear window rather than the entire liftgate. In the Max, this shelf doesn’t reach all the way to the back of the reach seats, so there’s a plastic lip to prevent your groceries from flying forward every time you brake. The shelf can support up to 50 pounds. Another blink-and-you’ll-miss-it innovation is aimed, in part, at people bringing home a Christmas tree (yes, that’s really the example Ford offered). Most SUVs and crossovers have their roof rails flush with the roof, so you can’t tie anything down. The Expedition’s roof rails have a smaller gap from the top of the roof than before; you can’t see daylight “under” the rails when standing next to the SUV. But to keep the overall rail height low, the roof actually rises up inboard of the roof rails, to provide more headroom. It sounds like a small detail, but I bet you’ll thank the engineers come December. The 2018 Expedition will be offered in XLT, Limited, and Platinum trim levels; an XL trim is reserved for fleets. There’s plenty of technology available on the options list: A total of six USB ports, an available dual-screen entertainment system, wireless phone charging, an in-car wi-fi hotspot with 50 feet of range (for when you’re camping and… still want to check your email? ), available LED head- and taillights, the Sync 3 infotainment system with an 8-inch touchscreen, four 12-volt outlets, a 110-volt outlet, cooled seats, a 360-camera system, a B&O Play sound system, and even a kick-to-open liftgate. Active safety tech includes adaptive cruise control with stop-and-go, lane-keep assist, and pre-collision braking. While we’re still waiting on a lot of numbers, like cargo space, engine output, fuel economy, and towing, it looks like the revisions to Ford’s full-size SUV will keep it a compelling and relevant choice in its niche segment. The 2018 Ford Expedition is set to go on sale this fall. 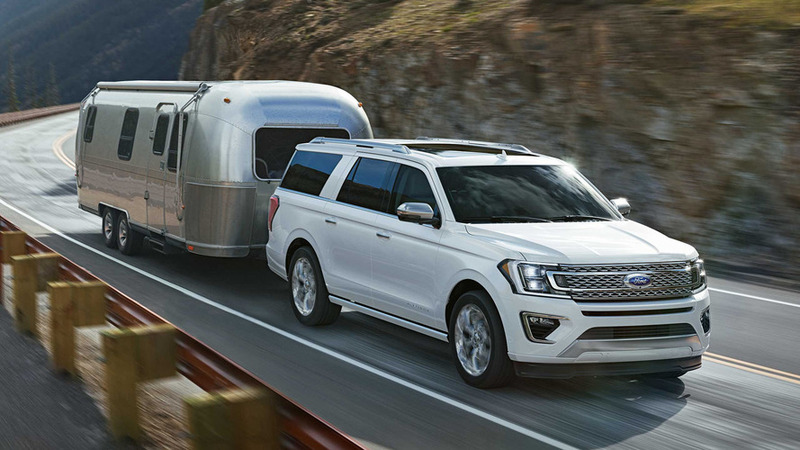 For today’s active families, Ford introduces the all-new Expedition – the smartest, most capable and most adaptable Expedition ever – with technology to keep every passenger connected, more power for drivers, and more expected towing capability than any other full-size SUV. The all-new Expedition makes its debut today with an assist from the Dallas Cowboys in Texas – America’s best-selling full-size SUV market. More than 40 features and driver-assist technologies new to Expedition help make the journey as enjoyable as the destination. These include class-exclusive enhanced active park assist to easily pull in and out of parking spots, as well as available 360-degree camera technology to help customers see more around their Expedition for easier parking. Its collision avoidance detection system helps drivers avoid other vehicles or pedestrians, while available Blind Spot Information System helps monitor blind spots outside the driver’s immediate view. Powered by a 3.5-liter EcoBoost® engine with standard Auto Start-Stop plus a class-exclusive new 10-speed automatic transmission, the all-new Expedition is the most powerful Expedition ever. Expected best-in-class towing and available electronic limited-slip differential allow customers to quickly adapt to changing conditions when driving either on- or off-road. More than 50 percent of Expedition customers value towing, and 15 percent tow weekly or monthly. That’s why the all-new Expedition offers Pro Trailer Backup Assist, which makes backing up a trailer as easy as turning a knob. To help customers choose the right amount of interior room for their families, all series are available on the extended-length Expedition MAX. Plus, an available hands-free liftgate makes loading cargo easy. 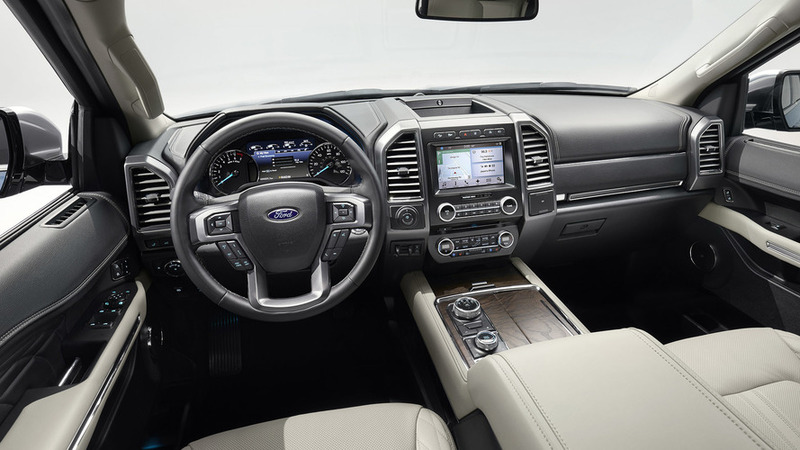 The all-new Expedition has a roomy, flexible interior. With seating for up to eight people and their gear, this full-size SUV makes modern family adventures more comfortable during short and long trips alike. Expedition’s second- and third-row seats can be quickly folded flat with the push of a button to open up a cargo area wide enough to handle 4x8-foot sheets of plywood and other gear, depending on cargo weight and load distribution, even with the rear liftgate closed. Even the drive is more adaptable, with Expedition’s all-new Terrain Management SystemTM that lets customers choose between drive modes for optimal vehicle handling in different conditions. This includes normal for around-town driving, sport for more spirited trips, tow/haul for improved towing and hauling performance, eco for enhanced fuel economy, grass/gravel/snow for loose terrain, sand for low traction situations, and mud/rut for uneven surfaces. The all-new Ford Expedition is being unveiled at Ford Center at The Star with Stephen Jones, Dallas Cowboys Chief Operating Officer and Executive Vice President. Last fall, Ford and the Dallas Cowboys surprised Dallas firefighters of Station 43 by refurbishing their station. Ford is now working with both the Cowboys and the fire station to surprise a local first responder with an all-new Expedition to continue his unstoppable level of service and enable new family adventures. The all-new Expedition is available in XLT, Limited and Platinum series. In addition, an XL version is available for fleet customers, from law enforcement to emergency services. 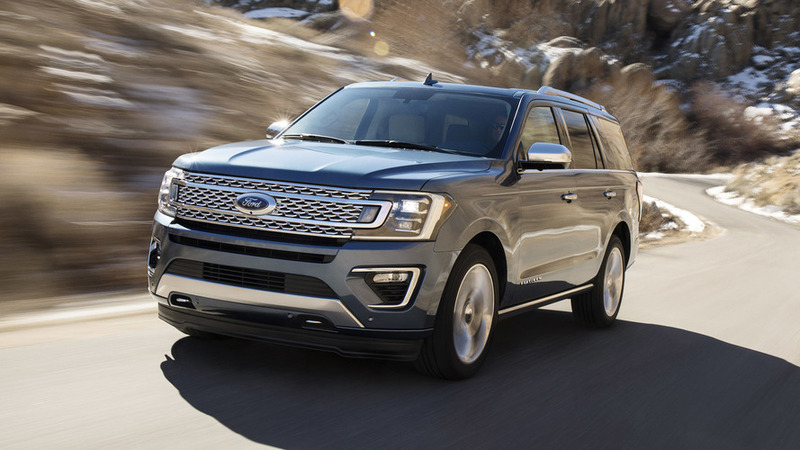 The all-new Expedition is part of Ford’s plan to grow its leadership in SUVs with five new SUVs coming to its North American vehicle lineup in the next four years. The all-new Expedition arrives this fall. It is built at Kentucky Truck Plant in Louisville, Kentucky.